DC vs Marvel is a rivalry that all of us are well aware of. They're two of the biggest movie franchises in the industry. Well, this often brings a contradiction between the fans from the two sides about which of the two is bigger and/or better. Recently, after the recent release of Avengers Infinity War, the debates have once again heated up. 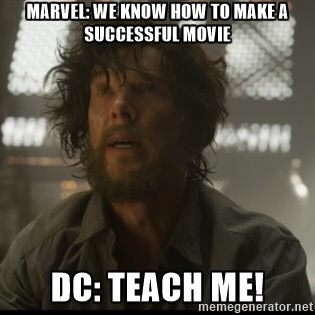 Check out our collection of some of the funniest DC vs Marvel memes. 2 DC, you poor student! 3 Not copying. Not at all! 5 Did someone say team work? 13 Guns dont kill people. Batman kills people. 17 Hello, may I talk to Mr. and Mrs. Wayne, please? 19 Do you even DC bro?